HOMES STARTING in the mid 180's.... Estates of Brickyard allows you to choose not only your lot, but we have several approved builders. Move up to the estates with so many floor plans we are sure to have what you are looking for. Plans include ranches, 1 1/2 story, and 2 story homes. This single family neighborhood is in Hillsboro schools. Call today to schedule your appointment and design your Dream Home. The first section is going fast. 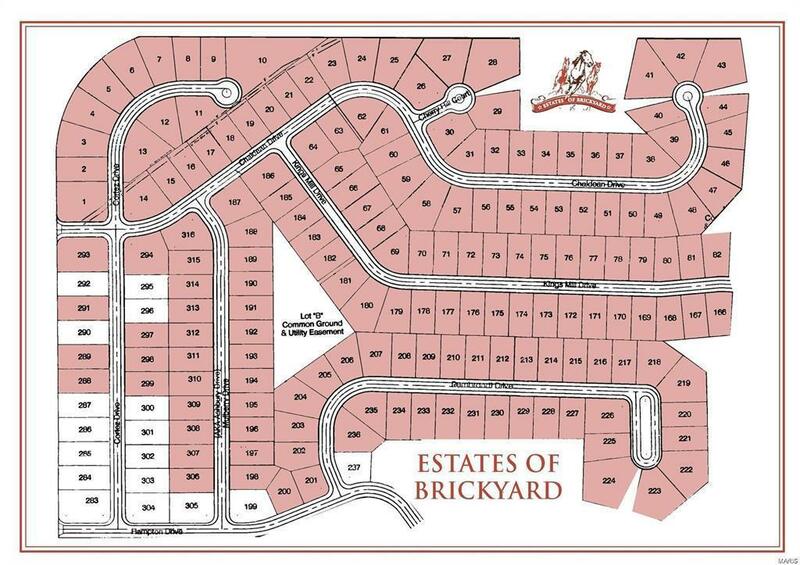 But with the unveiling of several new home sites you still have a chance to call the Estates of Brickyard your home. ****High speed Charter internet is here. *****This lot is a walkout lot.